Online shopping of microwave ovens on installments has now turned out to be easy all because of Dreams.pk. You can benefit EMI on various things in Pakistan no matter where you are. Dreams.pk empowers you to buy on EMI with zero markup facility on the entirety of your things through a dependable channel. Microwave ovens have now changed into a need in all homes and it stays inadequate without them. Dreams.pk is Pakistan’s online leasing site attracts you to get your electronics be it Bikes, mobiles, Led TV or microwave ovens, on EMI online. On account of this reason, their inclination has also widened. Regardless, with the introduction of best brand ovens, you can appreciate in a productive way. The standard decision left for people is buying microwave ovens on installments. In such way, Dreams.pk is the best decision for you. Dreams.pk have an enormous accumulation of electronics which include mobiles, bikes, Kitchen Appliances and more. This great site owner is Awais Farooq who is also owner of Pakistan’s online comparison site, Comparebox.pk. You say the microwave oven brand and dreams.pk will have it. Notwithstanding which company oven you require, dreams.pk has a colossal conglomeration of microwave ovens from foreign brands to local brands. Disregarding whether you’re pursuing down motorbike or LED to buy on basic EMI with zero down payment installment in Pakistan, you ought to just visit Dreams.pk and it will be yours. Here on this site, we empower our clients to purchase any brand microwave oven on money and EMI Pakistan. We offer particular reasonable and versatile plans for microwave ovens on installments and furthermore on various brands. Microwave oven brands available on dreams.pk incorporate PEL, Dawlance, Haier, Orient, West Point and some more. This proposes now anyone can purchase their microwave oven on buy now pay later basis. Thusly purchasing ovens on installments has ended up being much profitable for everyone. The ovens rather be a Homeage, PEL or Orient, all are accessible both on EMI and money for clients. Dreams.pk offer versatile EMI plans as demonstrated by your pocket or pay. You can in like manner empower with zero markup facility, to get your thing on rent. You can even get an oven on money without premium. Here on this site you can buy any brand microwave oven on installments in Pakistan and distinctive things in addition. Distinctive customers in Pakistan, expect that the things they buy on EMI or cash from different online stores are not of good quality. By and by, here at Dreams.pk we guarantee this isn’t the circumstance. We have contacts with the official agents of each and every best brand microwave oven, mobiles and electronics. This will ensure our customers to get the genuine products both on money or EMI with official company guarantees. Purchasers who are amped up for obtaining new oven on EMI, Dreams.pk is absolutely the best decision. Also, Dreams.pk is in like path considered among the best places that offer microwave oven on EMI in Pakistan. The costs offered here on microwave ovens are efficient when compare with other popular online sites or stores in Pakistan. Dreams.pk in like way connect with you to track your deals that have been dispatched by us and that too by direct advances. You ought to just snap your advantage history on our site and check status of your advantage. At the present time, diverse microwave ovens of different brands are available in the market, which are not in reach of middleclass people. For the straightforwardness of such customers Haier, Orient, Homeage have dispatch many ovens at low cost. In the event that you are drained on taking off to the business divisions to find your fitting rates or deals or can’t set aside chance to visit neighborhood stores or markets to buy your most regarded ovens? Stop your search here, as the solution for your issues is Dreams.pk. 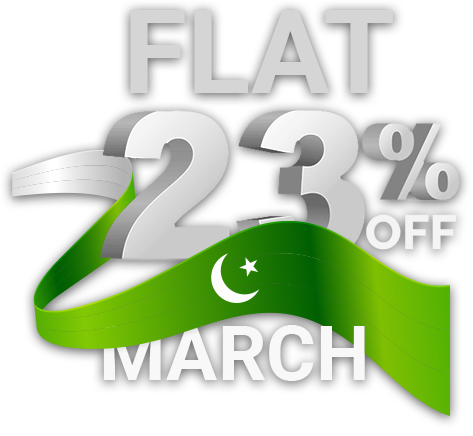 Subsequently, buy ovens online on EMI through best online installment site in Pakistan.